In the third installment of fridge foraging, I make Greek orzo salad, tamale soup, shrimp curry, raspberry jam, and a ‘throw everything in the blender’ smoothie. 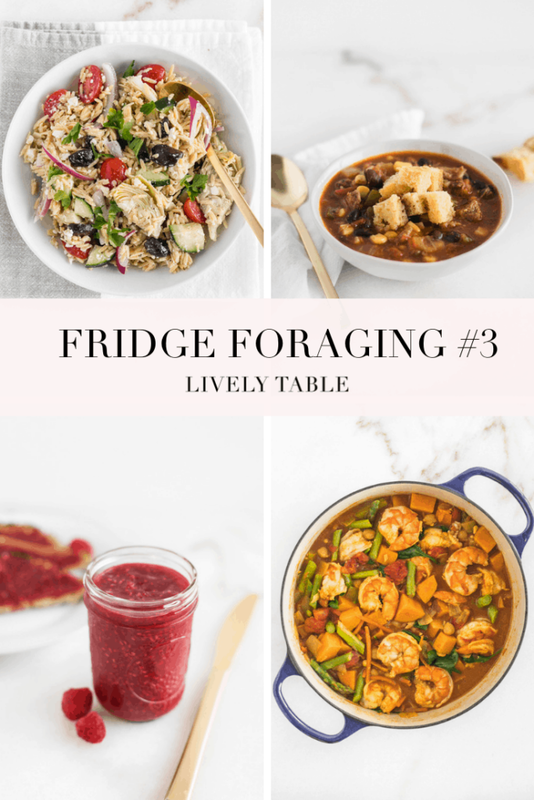 It’s month 3 of my Fridge Foraging series, where I make meals out of the ingredients I already have on hand that need to be used. I have to admit, I slacked quite a bit on meal planning this month, which means I impulse-bought a lot of produce without a plan for it. I had some leftover kalamata olives (which I’m admittedly not a big fan of), artichokes, and cherry tomatoes left over from recipe testing, so I combined them with a bag of Banza’s new chickpea rice, which actually tastes more like orzo to me, some feta, red onion, cucumber, and Greek dressing that I’ve had sitting unopened in the pantry for a few months. It turned out delicious! 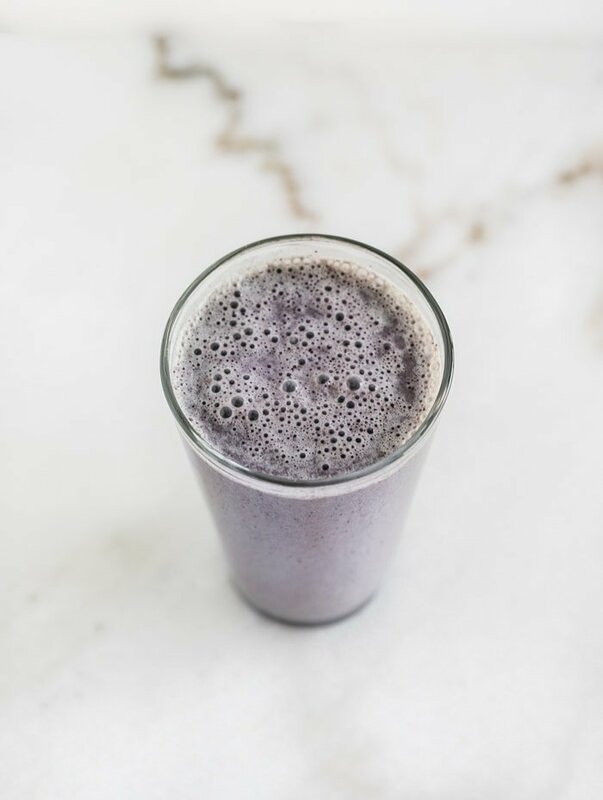 You really don’t need a recipe for this one. 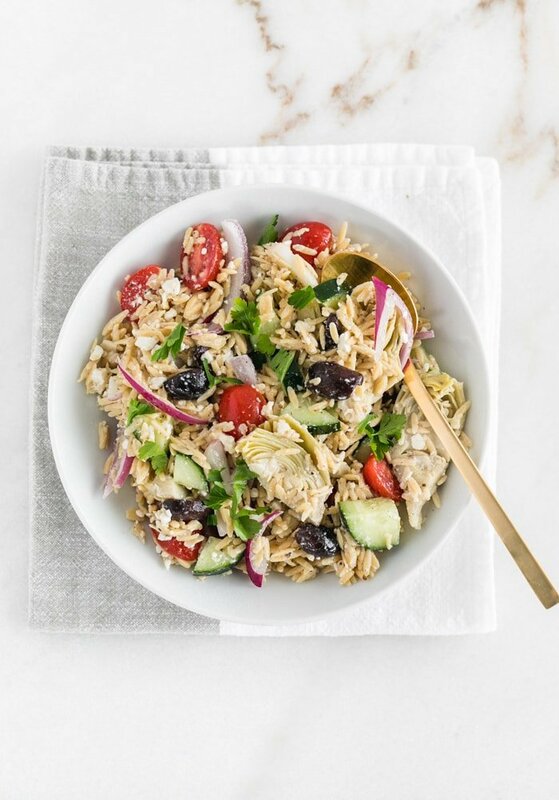 Just cook the orzo (or whatever pasta or whole grain you want), drain it, and toss with olives, cherry tomatoes, cucumbers, artichokes, sliced red onion, feta, and your favorite Greek dressing (I used Primal Kitchen) to taste. Stir and refrigerate until you’re ready to serve. Stir and simmer, covered, about 20 minutes. 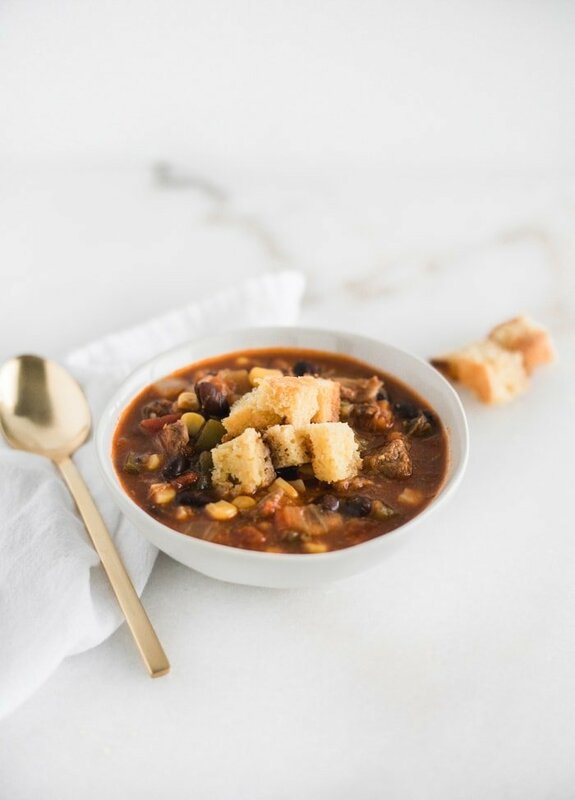 Ladle into bowls and top with ‘croutons’ made from cornbread cut into small cubes. Garnish with cheese, sour cream, cilantro, or any other toppings you’d like! Raspberries were on sale for 98 cents a container, so I got a little over zealous and bought 5. Then it became a race to eat them all before they became moldy. I proudly finished 3 of the containers without any mold with the help of Queen C (she’s a berry machine), and turned the other 2 into jam. I didn’t can it this time since the recipe only made about 1 1/2 cups. 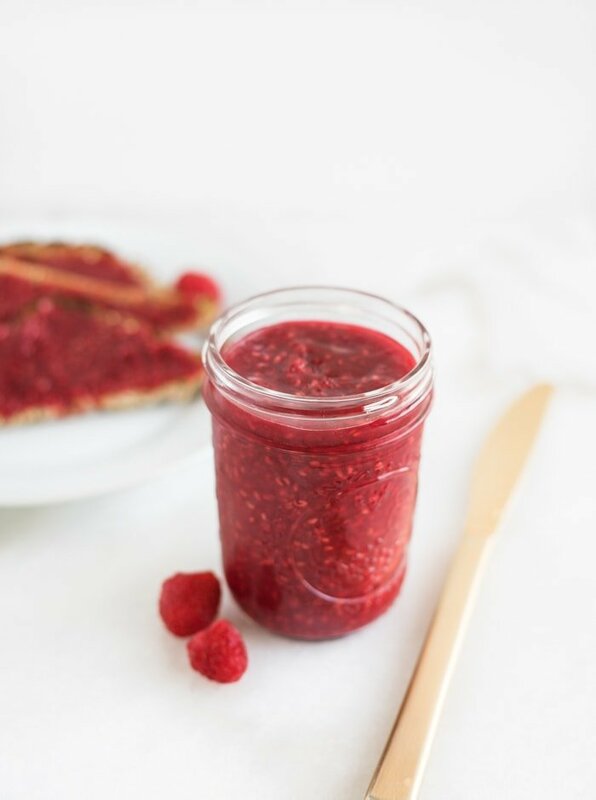 To make the jam, you just combine the mashed fruit, water and pectin in a saucepan and bring to a boil that cannot be stirred down. Then you add the sugar and return to a boil for 1 minute. Turn off of the heat and let it cool a little bit before adding to jars. Store in the fridge or freezer. It was a little thick for my liking, so next time I’ll reduce the pectin a little bit. Curry is another great use for anything you might have floating around in your pantry. 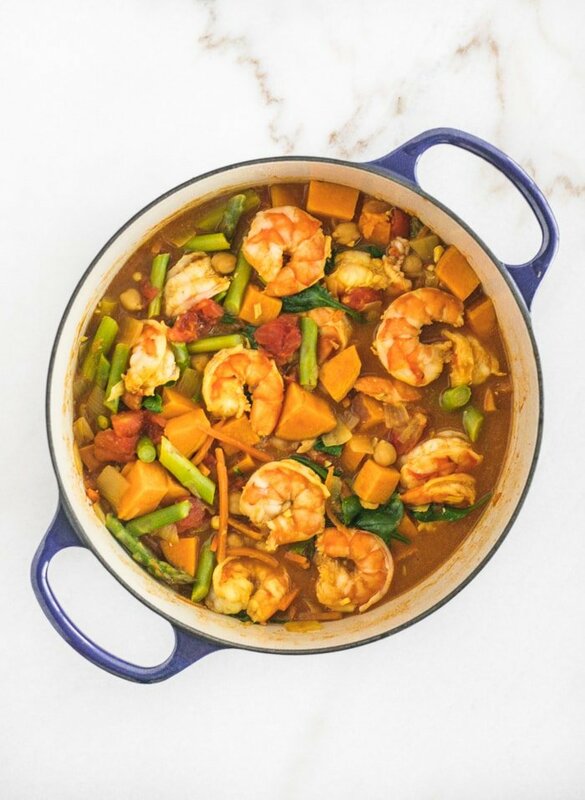 Here’s How I made this shrimp and sweet potato curry. Cover and let cook until shrimp are cooked through.